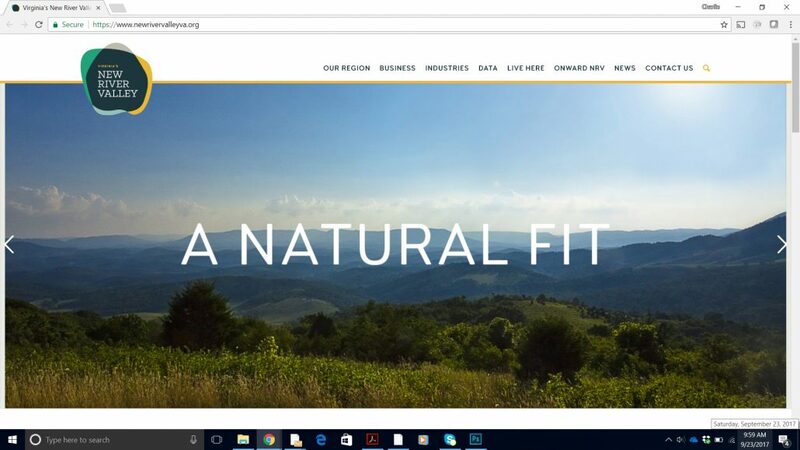 Onward NRV has officially launched the new website (www.NewRiverValleyVA.org) for Virginia’s New River Valley. The new site is designed with the river stone branding and reinforces the culture, lifestyle amenities, and business opportunities of the NRV. The new logo for Virginia’s New River Valley is a stack of river stones that represent the eclectic and intentional small town living of the region. The different, yet complimentary, colors invoke the NRV’s diverse and innovative business community and its collaborative culture. This acts as the portal to a unique brand that stands out among other communities and economic development organizations. Just like the NRV, the river stones logo and collateral imagery are highly adaptable, and work to spotlight the loyal people and innovative industries of the region. The new website features updates such as better SEO, interactive maps and sites and buildings database, and email content distribution devices. The new site is the product of Onward NRV’s strategic planning to increase visibility for Virginia’s New River Valley. Research surrounding regional communities, industries, and lifestyles was conducted to create the content and design of the new website. The website launch will be announced publicly tonight at the 2017 Onward Annual Investor Dinner. For more information about Virginia’s New River Valley or Onward NRV, email info@onwardnrv.org.